This Saturday at 3PM EST, I’ll be streaming the Macintosh RPG Enchanted Scepters with Keith Kaisershot (Other Ocean Interactive, The Journeyman Project: Pegasus Prime, and all-around Mac enthusiast). 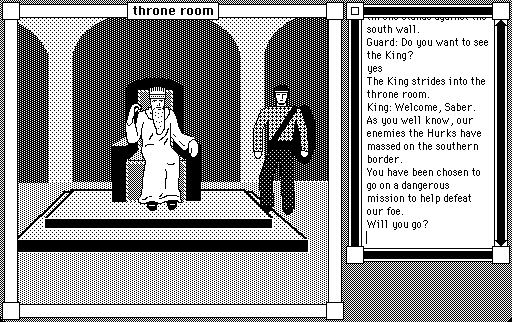 Enchanted Scepters was among the first games for the Macintosh, created shortly after the computer’s release in 1984. 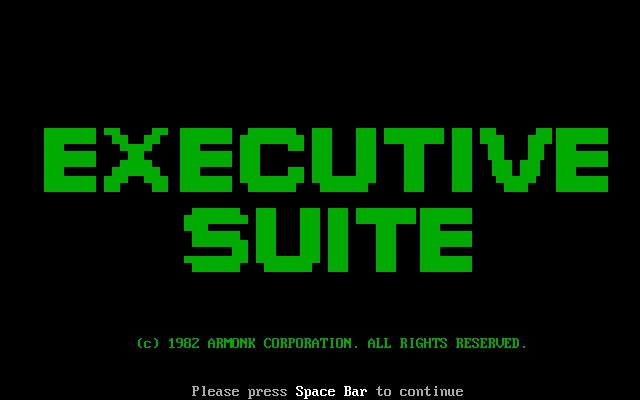 It combined text-based adventure and role-playing mechanics with one of the earliest uses of a mouse in a game. The ability to interact with an object by clicking on it has become a universal feature that feels strange to single out as an achievement, but Enchanted Scepters tried the idea (imperfectly) before almost anyone. Developer Silicon Beach Software later adapted the interface into World Builder, a popular game creation tool. On top of its historical value, it’s also a sprawling, continually surprising game that I’m looking forward to sharing. Keith has a far deeper knowledge of Enchanted Scepters than I do, so I’ll probably need some coaching to get through it. See everyone on Saturday on the Obscuritory Twitch channel! UPDATE: Thanks for watching, and thanks to Keith for joining! A replay is available here. I really like this game’s stream-of-consciousness. Please don’t mistake my comparison of it during the stream to amateur game design as a negative; I appreciate that it channels the same liberating sense of blowing up the usual rules of world-building. 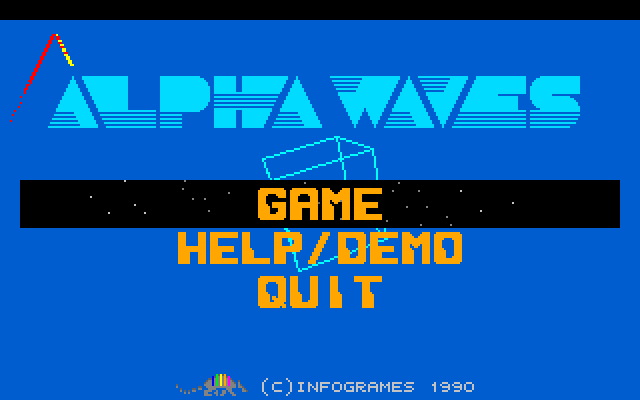 Alpha Waves (Continuum in America) was one of the earlier computer games to allow players to look and move in three dimensions. Like other virtual reality analogues that run short on processing power, it’s abstract – simple, flat, and polygonal with no feints to the real world. The game takes place in a 16×16 grid of boxy, solid-color rooms, grouped into regions with metaphysical New Age-y names like Stimulate or Awaken. Your vehicle, called a “mobile,” has six different appearance options, and they all look like fancy triangles.